Educated in classic TCM acupuncture and Chinese medicine from the Norwegian College of Acupuncture, ‘Akupunkturhøgskolen’, in Oslo (AKHS). Foundation and intermediate medical studies at Encéfalon Academy of Medical Science. Continuing education by learning Zhu’s Scalp Acupuncture with an institute in San Jose, California, USA. Member of the Norwegian Acupuncture Society and former member of the board in the same union. 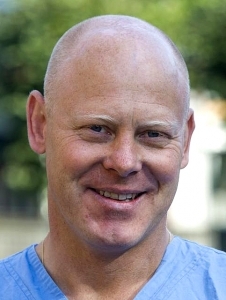 Founder of St. Olav Health Clinic in 2009, which is a base for Erik as a therapist and acupuncture - depart from participating in several courses, conferences and congresses all over the world. And by being an hospitant in hospitals and universities in China - working on continuous development. Erik has gained several years of experience working on treatment for patients with eye-disorders with acupuncture. In 2014 he also made an collaboration agreement with the complementary medicine-clinic in Oslo, Balder clinic, patient exchange-agreements with Eye Hospital, China Academy of Chinese Medical Sciences, in Beijing, China, that lets Norwegian patients with eye disorders get the opportunity for intensive treatment at the Eye Hospital in Beijing - and make room for Chinese professors and doctors to come work at St. Olav Health Clinic. Please read more about this later in this leaflet. By travel the world and learn from science, research and doctors over at least two decades, Erik have acquired in-depth knowledge about treating several eye disorders with acupuncture. Both China, USA and Europe has got valuable knowledge,- but collected and put together, it works even more efficient. Erik use techniques and methods from Dr. Tan, Master Tung, Acupuncture 2000, AcuNova and TCM. You will find more info about Erik and St. Olav Health Clinic on our websites www.stolavklinikken.no. Please feel free to visit.